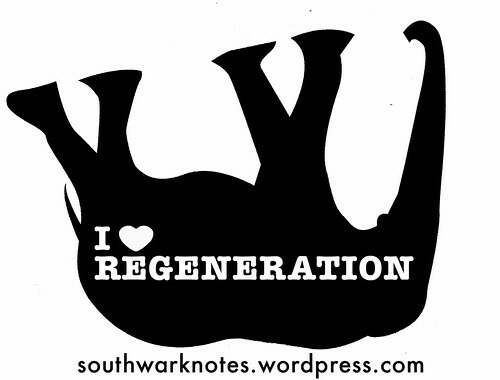 Waste of money | Southwark Notes - whose regeneration? 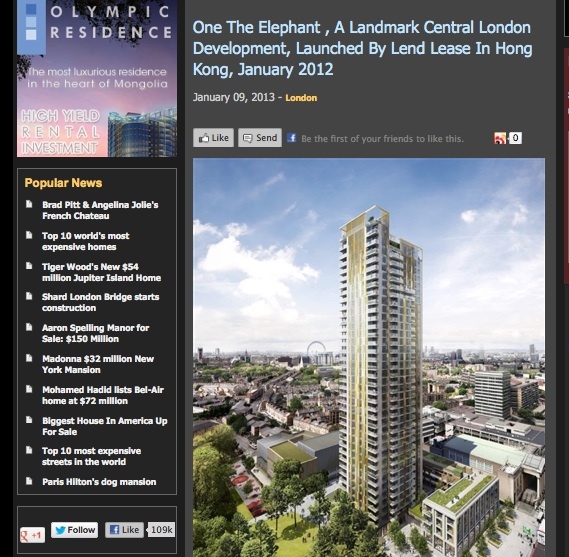 One The Elephant will be a 37-storey high tower right in the heart of The Elephant and across from the Shopping Centre. It will be the little-ish sister of the Strata tower and the stalled but inevitably forthcoming 360 London tower on Newington Butts. It will contain only private homes with the currently advertised off-plan (i.e not yet built) starting price of £320,000 for a one-bed flat! With zero affordable housing of any type, all of its 284 units will be luxury flats for the open market and some with access to a secluded garden on the roof of a 4-storey building beside the tower. We have yet to see the plans for the drawbridge, moat and boiling oil! Needless to say, the development is not really being marketed to local people (surely one of the key features of any regeneration scheme) but is being heavily marketed to overseas investors in the Far East as were, as we have been pointing out repeatedly over the years, Strata, Tribeca Sq, Metropolis etc. There is a ‘Community Preview‘ on Thursday 10th at 6-8pm at London College of Communication, SE1 but this is a different kettle of fish from the real deal of the first buyers launch weekend on Sat 12th and Sun 13th January at Siobhan Davies Dance Studio, St Georges Rd, SE1. (Not too late to book your sales appointment over the launch weekend. Just call 020 3667 1522). Quite what a ‘community preview’ is you can only tell us. Isn’t it a bit like rubbing our noses in it really when from January 2013 you can also buy a one-bed flat for £421,500 or if you need an extra bedroom you will need to stump up £535,000. A three-bedroom flat at Floor 30 will cost you a cool £1,065,000. On-site resident facilities include ‘a green roof for growing produce, a communal reading garden and a play zone for the under-fives’ plus residents of One The Elephant ‘will have a wide variety of activities a stone’s throw from their front door’ such as kebabs, betting shops, Chinese, numerous pound shops and also Bright House and the kiosk that sells bongs in the Shopping Centre! 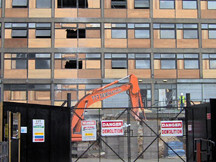 This development has slowly become linked to the building of a replacement Elephant leisure centre. The Council argument goes like this: if we let Lend Lease demolish the old leisure centre, use the front of the building footprint for a massive profit-expanding 37 storey building of luxury flats and get them to pay for a smaller leisure centre at the back, everyone will be quids in! Of course, this is only a very new and dastardly adulteration of many of the old regeneration plans where a new leisure centre came as part of the overall package of changes and not as something we have to now swap public land and size for. 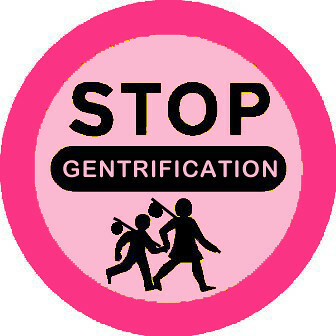 It is in this slow trickle of giving in to developers that all community benefits and gains have been ripped-off from local people who were prepared to give the regeneration a go. Having played a smokes-and-mirrors consultation game, the Council and developers offers something which doesn’t even ‘re-provide‘, in their words, let alone ‘regenerate‘ the old leisure centre: we lose the borough’s only public squash courts and it all gets smaller and tucked behind the big thing in the sky. 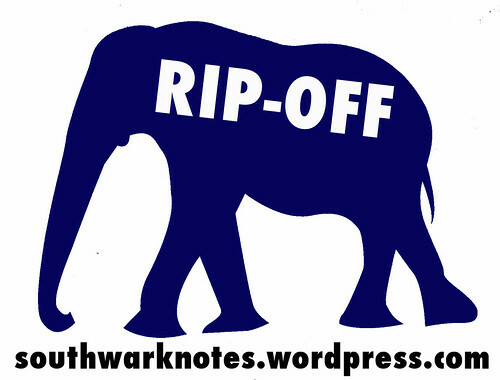 With Lend Lease’s announcement in mid-2012 that they will invest their profit from dumping the Greenwich Peninsula scheme (something in the region of £25 million) in the Elephant, the £3.5 million they are putting into the new leisure centre is humble to say the least. 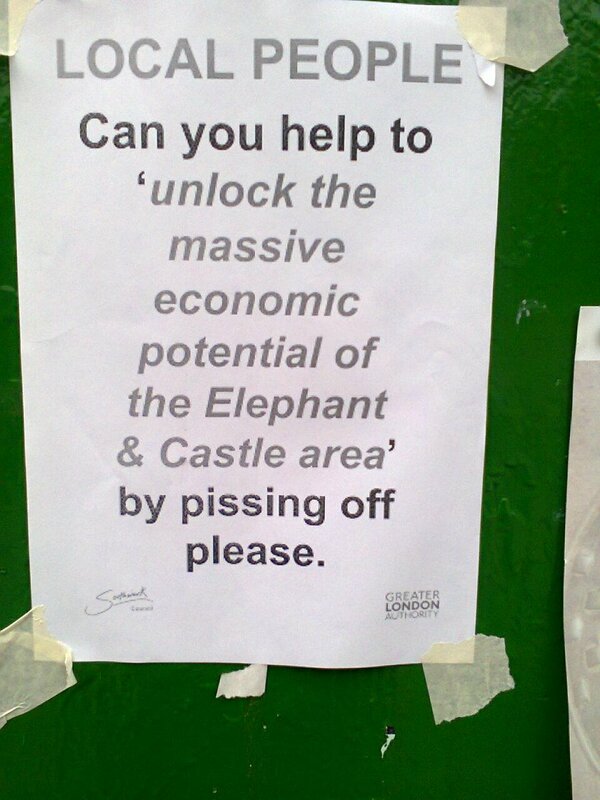 To top it off, they successfully refused to build affordable housing against all recent London-wide and local Southwark plans and the inevitable high profits of the scheme using the secret and untouchable mumbo-jumbo argument – it ain’t financially viable – will never be known to be measured against whether regeneration is offering value for money for long term local residents. 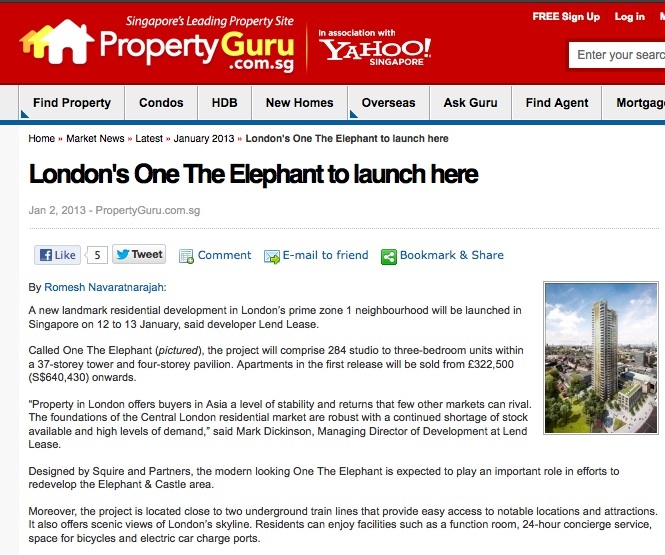 In one sense, the One The Elephant scheme is something of both a necessity for Lend Lease and a bone given to them by the Council as Lend Lease still have the financial jitters on the Heygate redevelopment. Although with tears in his eyes, a Lend Lease person told us last year that they aren’t making ‘so’ much money on One The Elephant. Luckily our violins were close at hand and we consoled him with a nice bit of Concerto No.5 in A, the second movement by Mozart. Or not! It would not be a big shock if Lend Lease didn’t complete both Phase 1 (Rodney Rd) and Phase 2 (Heygate St) over the next decade. Maybe the money to be made is in One The Elephant and Phase 1 where density and height pays dividends on such a small site. Will Phase 2 ever get built or will it get dumped and flogged in a perpetual round of selling on and risky speculation? It’s not impossible that once demolished the Heygate estate area will sit empty for years and years (like Tribeca Sq) waiting out the financial crisis. ‘Bankside is a very attractive area which is exceptionally dynamic and vastly improving in developments making it one of the most up and coming areas of London….For potential buyers, this redevelopment of Bankside is quickly making it a very attractive area to invest in. Homes along this area range from between £800 and £1,300 a sq. ft. which is exceptionally good value for money for such a diverse and bustling area, with so much action on its doorstep. Away from the river there are cheaper areas notably around the Waterloo, London Bridge and Elephant and Castle area, where homes are typically around £500 and £700 sq. ft. Homes range from extravagant riverside flats, classical Victorian terraces, public housing and private developments, charitable and church housing, factory and warehouse options and live work units’. Our presumed insight is that this formerly unloved area that nobody posh or with more money to invest for high returns would ever take a taxi too, has now fallen under the spell of those who operate with either a keen ironic sense of humour or a superb sense of optimism to write these kind of local summaries. 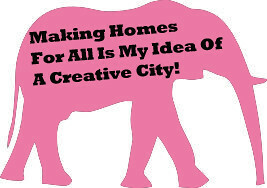 Perusing the One The Elephant website that seeks to market the Elephant area to lots of people who have probably never been here we can find all sorts of funny things. For example, despite being firmly in the centre of The Elephant, the publicity cannot bring itself to show any real photos of the actual Elephant area and especially not the Shopping Centre. The one pic we could find was taken in La Chatica café on Elephant Rd, this being a suitably ‘exotic’ and ‘vibrant’ niche kind of place for those who want to invest. Other local attractions featured on the site under the heading ‘Elephant & Castle’ are (listed here in an ascending order of the improbability of localness) Burgess Park, Kennington Park, The South Bank, Borough Market and the Houses of Parliament and Big Ben! 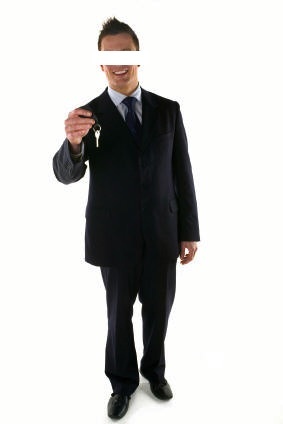 By the way, it would be churlish to name the estate agent involved. We were just nonplussed and took it as a sign that the operation of hype is out of control. Who could possibly ask to increase web presence of their local business of selling overpriced housing in the area to a website that has spent over 5 years relentlessly criticising the effects on the local population of such a property business!? We did ask him where he got the web address from but he never answered this pertinent question. Anyhow, more important than estate agents and their whims is the very real and material question of One The Elephant – now there’s a real trendsetter! • was inexplicably separated out from the vast Lend Lease Outline Masterplan so that it had it’s own planning application and so we are guessing would appear separate when it is intrinsically linked to the wider Lend Lease development and those within the Elephant Opportunity Area. • had zero real consultation on the topic of whether it should be built on top of the old leisure centre in the first place as opposed to just consulting on what new leisure centre people want. 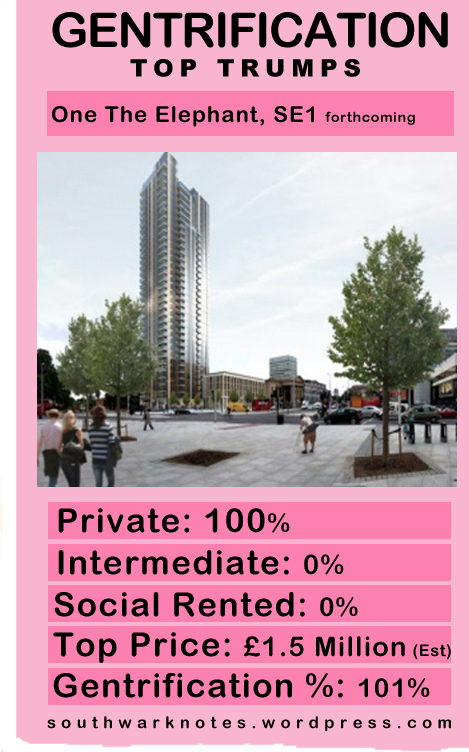 • has zero social housing in an area desperate for truly affordable housing. • is an architectural eyesore that sits very uncomfortably next to the Grade ll listed Metropolitan Tabernacle. • will have 46 car parking spaces in a development that is centered right at one of the most publicly accessible transport interchanges in London (buses, tube and rail) and the regeneration zone itself was always supposed to be a car-free development zone. • has a very stupid name! Take that to the community preview! POST MORTEM: Even the dead aren’t safe! 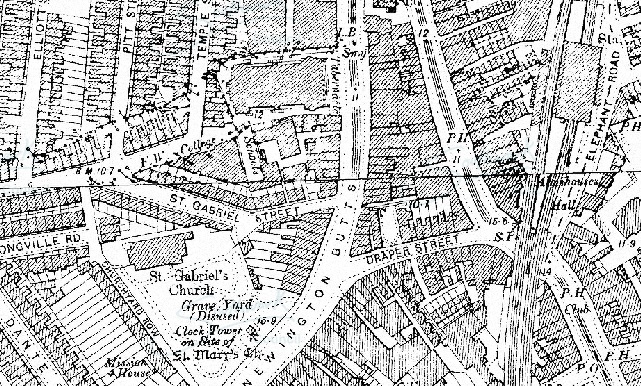 Before the ‘One the Elephant’ name was cunningly devised in some blue-sky thinking session this development was previously known as St Mary’s Residential after the churchyard on which it is partly to stand. But it’s not only the name that is lost in favour of the yuppie cachet of One The Elephant (as if), Walworth loses its dead to regeneration, since they are disinterring remains that go back to the Middle Ages. 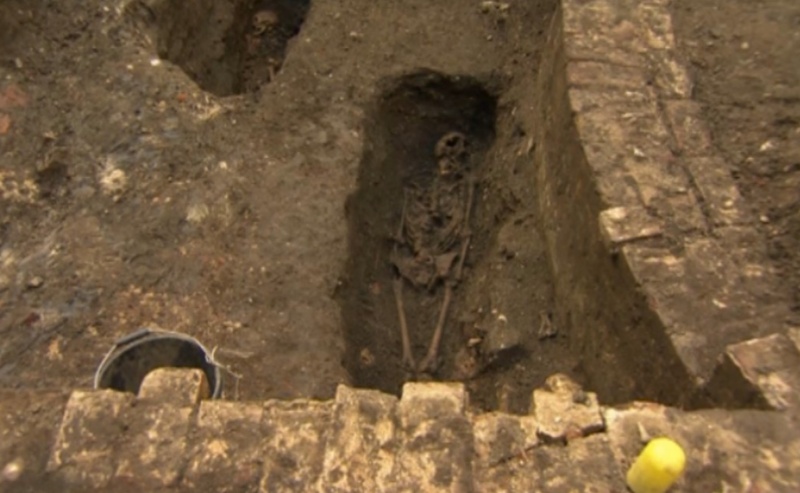 Some of the 500 skeletons dating back to medieval times unearthed beneath the site in 25 crypts will be reburied outside of the borough, some in Southwark’s functioning cemeteries. The Elephant regeneration finally spells displacement for the living and the dead. Of course the bodies that were missed in the diging will keep spinning in their grave and keeping many a private penthouse buyer nonplussed at the eerie and eldritch sound! It could be so. Woooo! Woooo!